Puppies are a little boy's best friend. 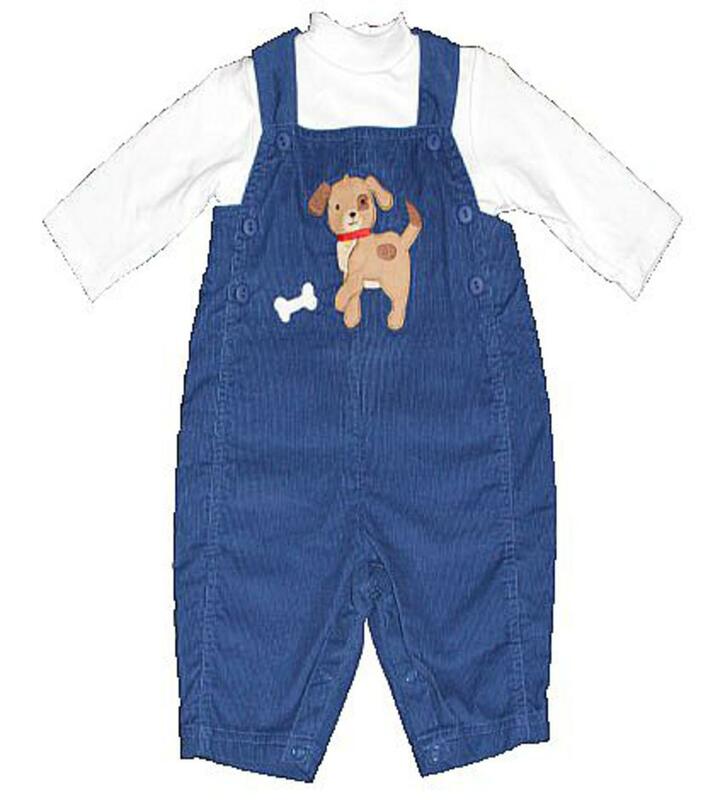 The navy corduroy longall has a puppy and bones applique on the chest. There is two buttons on the chest to get the longall on/off easily and snaps on the inside of the legs to accommodate diaper changes. The matching undershirt is white longsleeve with snaps on the back to get on/off easily. This adorable outfit is 100% cotton.